please add kate.hartmann@owasp.org to your address book or safe list. OWASP Java HTML Sanitizer Project - we need 2-4 people to help review the OWASP Java HTML Sanitizer documentation project. OWASP GSD Project Support - this project is in need of a project support volunteer to help with project administrative duties. Argentina, Uruguay, Chile, Peru, Ecuador, Columbia, Venezuela, Costa Rica, Puerto Rico, Brasilia, Sao Paulo, Curtibia, and Florianopolis! AppSec USA 2013 (www.appsecusa.com), the premier software security conference for Builders, Breakers, and Defenders, will be held November 18-21 at the Marriott Marquis, in Times Square, New York City. Now in it's ninth year, AppSec USA brings together leading global experts in software security for four days of discussion, training, exhibition, and competition. 1. Insightful keynote addresses delivered by leading industry visionaries from thought leaders of critical infrastructure. The initial 2013 Global Webinars were held January 10th, 2013. If you were not able to attend, the recordings are available online. The next webinars will be this Thursday, January 24th at 10am EST and 9pm EST. This session will focus on projects. We are hoping that ALL project leaders (past, present, or future) will be able to join. The Collegiate Cyber Defense Competition (CCDC) is the first competition system that focuses on the operational aspect of managing and protecting an existing "commercial" network infrastructure. CCDC allows teams of undergraduate and graduate students at universities across the United States to exercise their academic and technical education and compete in a business oriented, defense information assurance competition. CCDC is a tiered competition with qualifying and regional events leading to a national championship. 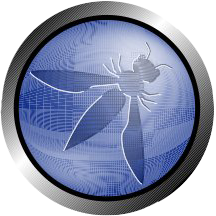 For more information about The OWASP Foundation, go to owasp.org . If you do not wish to receive future emails from Kate Hartmann, click here to opt-out. You are receiving this email because you are subscribed to the following lists - Digest Distribution. To unsubscribe from the Owasp-all mailing list, you will need to unsubscribe yourself from all OWASP mailing lists you belong too. This list is automatically generated to allow OWASP to contact all it&#8217;s members in one distribution. You received this message because you are subscribed to the Google Groups "OWASP Summit 2013" group. To post to this group, send email to owasp-summit-2013@owasp.org. To unsubscribe from this group, send email to owasp-summit-2013+unsubscribe@owasp.org. For more options, visit this group at http://groups.google.com/a/owasp.org/group/owasp-summit-2013/?hl=en.